We are offering Fan Blower. 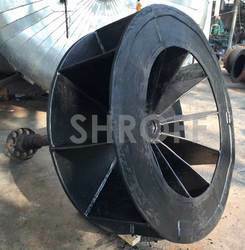 Keeping in mind the vast necessities of the patrons, we are engaged in providing a wide range of Industrial Centrifugal Blower. - Used to exhaust the hot air, dust and gases from the industry and keep the environment friendly and healthy for the workers. Being one of the renowned organizations in the industry, we are highly engaged in manufacturing a unique range of Industrial Blower.